The Buccaneers are close to finally getting a head coach, as ESPN’s Adam Schefter is reporting the team is trying to wrap up a deal with Rutgers head coach Greg Schiano. Schiano’s hiring would be a surprise, as his name hasn’t been mentioned at all with any other openings, and the last time he was mentioned for a job was after the 2006 season when Rutgers went 11-2 and Michigan was believed to be interested. 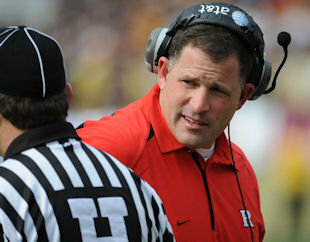 The 45-year-old Schiano has spent the 11 seasons at Rutgers, compiling a 68-67 record that includes a 5-1 mark in bowl games. Over the last seven seasons, the Scarlet Knights are an impressive 56-33 and have gone to all six of their bowl games under Schiano. Schiano has three years of NFL coaching experience, all as a defensive assistant/position coach with the Bears from 1996-98 before spending two seasons as the defensive coordinator at the University of Miami. In 2001, Schiano took over a Rutgers program that was an absolute doormat and put them in six bowl games over the last seven years. 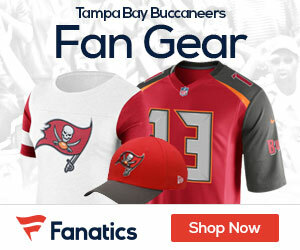 According to the ESPN report, the Buccaneers have done extensive research on Schiano, who they have been in contact with throughout their search for a new head coach. One of the current NFL head coaches who spoke highly of Schiano was New England Patriots head coach Bill Belichick.